Eye drops used to treat allergies are specifically for eye symptoms such as red, itchy, and watery eyes. Antihistamine eye drops provide relief of eye symptoms (i.e., ocular symptoms) in a few minutes. Decongestant eye drops also work in about 5 to 10 minutes. The mast cell stabilizers take a few days to see their full effects. Dosing for these medications is usually 2 to 4 times a day, depending on the type of eye drops used. Side effects may include burning, stinging, eye irritation, headache, and changes in taste. Eye infections can occur, especially if the eye drops are not used properly. First wash your hands thoroughly. If you wear glasses or contact lenses, remove them. Tilt your head back, and with your eyes open, create a little pocket with your lower eyelid by pulling it away from the eye. Look up towards the ceiling, then squeeze the eye dropper gently to instill 1 drop into the pocket. Close your eyes and apply gentle pressure to the corners of the eyes at the bridge of the nose to prevent the medication from draining into your tear duct. Repeat with the other eye, if applicable. 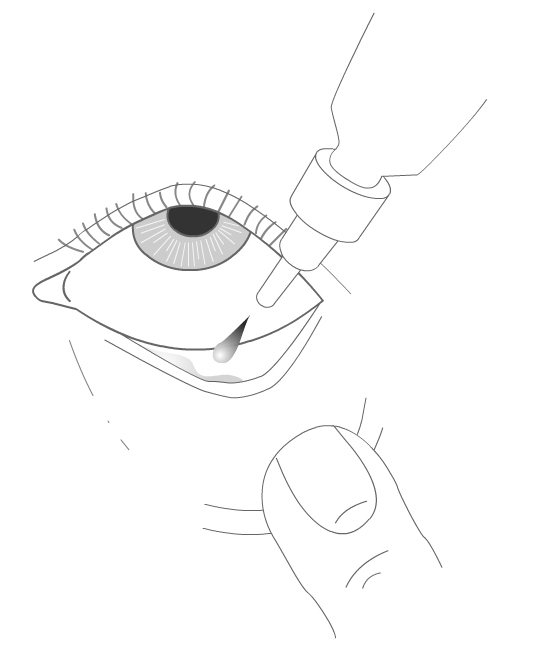 Try not to touch the tip of the eye dropper onto your eye or any other surface. For more detailed instructions, see the package insert for your particular medication or check with your doctor or pharmacist. People with certain medical conditions should not use some of these eye drops. To ensure you are taking the most appropriate medication, inform your doctor and pharmacist of any other medications you are taking and of any medical conditions you have. You should follow your doctor's and pharmacist's instructions on using the medication to ensure you get the most benefit from it. If you are taking any of these medications and your allergy symptoms do not go away completely, talk to your doctor.